Morecambe Bay Cockle Pickers: Does the government want it to happen again? Remember the tragedy at Morecambe Bay which led to the deaths of at least 21 cockle pickers? 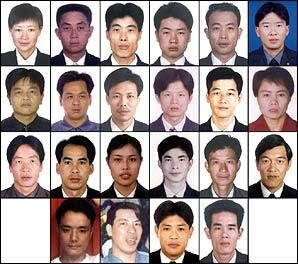 The public outcry that followed the exploitation of these Chinese workers led to the setting up of the Gangmasters Licensing Authority to protect migrant and other workers from future exploitation. Since then it has been very successful in both licensing gangmasters and working together to fight exploitation with other agencies like the UK Border Agency,the Serious Organised Crime Agency, the police and Revenue and Customs. A key test case will take place this autumn with the prosecution of an Oxfordshire dairy farmer, and potentially 18 other farmers, for using unlicensed labour on their dairy farms. Other cases included investigations into shellfish farmers in County Antrim and a successful opposition to a licence being sought through a Facebook friend of a banned gangmaster who exploited Lithuanian workers. In the last year its inspectors identified 845 workers who had been exploited to the tune of £2.5m, revoked 33 licences, and prosecuted 12 firms. Some 91 per cent of operations identified serious exploitation. Employers who appeal against its decisions have only a 5 per cent chance of success, 95 per cent of appeals are rejected. Now any further success is being threatened by a triple whammy from the government. The latest annual report ( http://bit.ly/qp7yeo) reveals that in the last year the government is putting their effectiveness at risk. 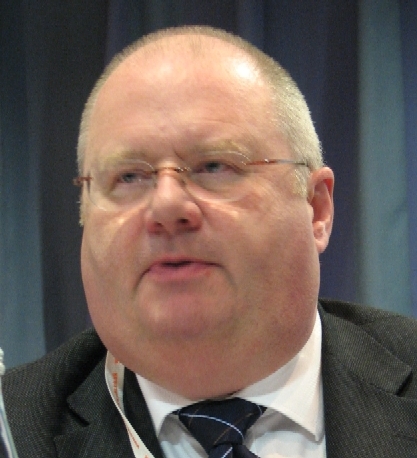 The biggest blow has come from none other than Eric Pickles, the communities secretary. His department abolished funding altogether to the agency from April. This funded work enabled the agency to set up intelligence operations with local councils and funded community enforcement officers. These posts have now gone. Then Caroline Spelman, the environment secretary, cut funding by five per cent and Francis Maude, the Cabinet Office minister, imposed a Whitehall recruiting freeze which has mean that skilled people have not been replaced. At the same time the agency which relies on licence fees for the vast majority of its income has been told to freeze fees for two years, presumably to save business money.It is no wonder the agency’s annual report says: ” The authority faces a major challenge in seeking to prevent the exploitation of vulnerable workers with the prospect of fewer resources.” It also gives a lie to the government’s claim that cutting back office staff won’t have any effect. It admits that these cutbacks” may have an adverse impact on the ability to control risk in the future”. Under government spending cuts it will be cut again over the next three years as the Department for Environment, Food and Rural Affairs reduces its budget by eight per cent a year. Given it runs on a shoestring budget in Whitehall terms of under £5m a year and employs 89 staff, it seems remarkable value for money. It would be a serious tragedy if penny-pinching by the government gave the green light to new exploiters to take advantage. If it does at least transparency makes it clear which minister to blame. This entry was posted in Uncategorized, Whitehall and tagged cockle pickers, eric pickles, gangmasters, worker exploitation. Bookmark the permalink. I would have thought that even by the government’s own criteria, this bit of it’s operations was necessary and successful. Mind you, I can see why they might sympathise with the dodgy dealers, spivs and bullies who operate on the edge of the law by sweating and exploiting a vulnerable group in society, and who might be reigned in. Good article again – keep it up! still episodes of clear exploitation continue with lithuanian and ghanaian workers in the security industry. With no access to benefits they are ripe for gangmasters who fill theyre heads with idealistic nonsense declaring theyll be offered work before theyre british counterparts.But not relating theyll be underpaid and exposed sometimes with theyre own will to the most treacherous and dangerous conditions.No sense in even assiting some of these people who are brainwashed into beleiving they are better off than you.Its sickening to witness the outright greed and contempt of some bosses.Boldly declaring the ambitions of fast cars and plush properties paid for at the expense of out and out slavery.